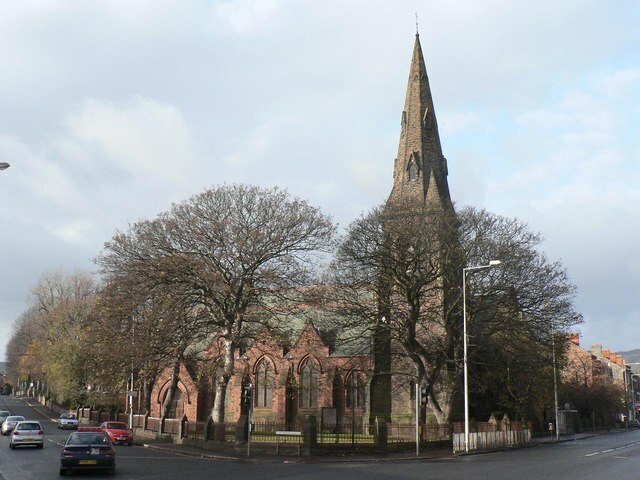 The Orthodox Church of St. John of Shanghai, is no longer located at the corner of the Antrim Rd and Cliftonville Rd. The parish moved at the very end of October 2017 and is in new premises from the beginning of November. Please click here for present location. It was previously located in, and then, later, beside the big church photographed above, in the first floor of the church hall building, behind the big window overlooking the Antrim Rd. on the photo on the right. From November 2017 we have moved to a new location. For further information on the present location please click here.